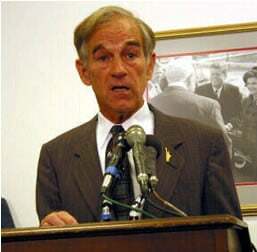 First off, let me just say that I am a serious Ron Paul supporter. I’ve blogged about him, spammed promoted him to friends and family, and even put a Ron Paul 2008 bumper sticker on my car (I don’t do bumper stickers). I’ve been resisting the call to write this piece for some time now, but I can resist no longer. It’s time for us, as Paul supporters, to stop pretending his flaws do not exist. We are ignoring his more extreme and illogical views because we’re so smitten by his good ones. This is a problem. Our ability and/or willingness to evaluate him as a complete candidate is being suppressed by our surprise and appreciation for his views on foreign policy and personal freedom. In short, we’re so in love with him that we’re focusing only on his positives while ignoring his negatives. The Founding Fathers envisioned a robustly Christian yet religiously tolerant America, with churches serving as vital institutions that would eclipse the state in importance. Throughout our nation’s history, churches have done what no government can ever do, namely teach morality and civility. Moral and civil individuals are largely governed by their own sense of right and wrong, and hence have little need for external government. A “robustly Christian” America? That’s what he thinks the founding fathers wanted? Ouch. And the separation of church and state has no basis in the constitution or the writings of the founding fathers? How about this? How did he miss that? I’m definitely not with him on this, but I am at least comforted by the fact that he would never force his views on anyone at the federal level. He wants the state and local government to provide education to the public. He also regularly mentions churches when asked about how this will come about. He spoke at Google recently and he was asked how the poor are supposed to get an education if the government doesn’t provide one free of charge. The audience members worried about the rich getting great educations while the poor got none. He has no good answer on this, and if he does he’s not telling anyone. He admits there will be inequality but says that it’ll be better than what we have now. I disagree. I also fail to see how state governments will have an advantage over the federal government when it comes to providing education to the public. To me it looks like his solution simply creates smaller chunks of corruption and waste rather than one big one. Furthermore, I do think something can be said for having a standard that we as a nation strive to live up to. Ideally it would not federal law, of course, but one has to wonder how else it would come about if everyone was allowed to go off on their own tangents. Is it ok for Kansas to decide that math is evil and strike it from their curriculum? Does the drive to be perfectly constitutional outweigh the need to have us all meet a certain standard? It’s worth having the discussion. He didn’t get any loans to go to college and he doesn’t think you should either. Again, he doesn’t think the federal government should be involved with education at all. Many of the people in the room he was speaking to at Google used federal loans to make it through school and to Google in the first place. Again, I agree that this shouldn’t be necessary, and that it’s unconstitutional. My problem is with simply stopping the program and hoping (or praying) for another solution to materialize. Having hundreds of thousands of young people who need a college education turn to “the community” is not a solution. This sort of transition would have to be incredibly well orchestrated — with state, local, and charitable infrastructures coming into existence right as the federal one was being dismantled. I simply lack confidence in our ability to pull this off. It doesn’t mean we shouldn’t try, but it does mean that we can’t just run out and pull the federal systems without considering the consequences very carefully. Once again he is right in concept but I fear the extreme tone in which he speaks about the issue. I’m not getting the feeling that he realizes how catastrophic it would be to stop these programs without having something in their place. What I am hearing from him is, “It’s the right thing to do, so whatever happens happens.” I simply cannot accept that despite feeling his position is ideally correct. Again, not the role of government. His basic view is that the market will find a way. He openly admits that many people will fall through the cracks, but he responds to that by saying that it’ll be better than what we have now. Does this seem hopelessly optimistic to anyone but myself? This is just like the education thing: ideally it wouldn’t be a national plan, but this is simply a matter of practicality given the problem we’re facing. We simply have too many people that need health care right now. Look at the countries who are handling it better than us. What are they doing? Are any of these highly successful programs completely separated from the national government? Why not? Is there a working model for this anywhere? I just feel like we have to explore the realities very carefully before taking rash actions. This is the type of language I’m not hearing from him. You think that food you bought at Safeway or Publix is safe? Well, he doesn’t think that’s the role of the federal government to help you with that. Leave it up to someone else. He things some community groups will spring up and organize to help us fill the void, and I agree that will happen to some extent. But in the meantime there will be no standard for determining whether something is safe to consume or not. Imagine the fun the corporations will have with this. They’ll sell all kinds of crap that causes serious harm to uneducated consumers. He says the answer is consumer groups and litigation. How many people are going to meticulously check consumer reports before buying food and drugs? Does he not see how easily this will be exploited with ill effects? Think of the money to be made by corporations with no oversight. This is precisely the type of policy that will allow the powerful and immoral to stomp all over those who are less educated. The libertarian answer to that is caveat emptor, and that I simply cannot accept. The extreme libertarian view here is that if people are too stupid to do their own research before consuming dangerous products, they deserve what they get. I agree that’s fine for an ideal society where people would be educated and able to fend for themselves, but it’s simply not a humane approach given how many ignorant people would suffer in the country we live in today. He wants to handle pollution in a purely “property rights” fashion, i.e. people who infringe on other peoples’ property rights would get sued. But there wouldn’t be any federal oversight of the matter. No regulation at the national level whatsoever. Again, this sounds great in an ideal world but it neglects the reality of the situation. The fact of the matter is that if corporations can get away with something they will. Oh, you want to sue? Be serious. So GiantChemCorp dumped something in Bob and Shirley’s backyard? Great, get a lawyer. Exxon will show up with their team that’s paid millions a year. Oh, Bob and Shirley can’t afford a good one? Perhaps they can get help from your local church or consumer group. Please. This is yet another example of having exactly the right idea for an ideal society but not grasping that the reality we’re presented with works differently. Again, the powerful would trounce upon the weak with impunity. He regularly says things such as, “I think it [the case for man-made global warming] is overblown.”, and “There’s still debate on the issue.” Overblown? What part of the massive IPCC study where over two thousand climatologists from 130 countries agreed on the matter does he disagree with? I find his rejection of this overwhelming scientific consensus to be disturbing. And before you think to retort with the number of scientists who disagree with the report, consider the concept of scientific pseudosymmetry. The bottom line is that Dr. Paul has significant flaws just like the other candidates, but on different issues. He simply takes things too far given the world we live in. We’re endorsing him because we’re infatuated with his views on foreign policy and personal freedom. We’re in love with the fact that someone will speak out against the absurdity that is the current status quo. But is that enough? Can we still back him if he’s lacking in other important areas? Where’s the line? Again — I have to repeat this — the problem is not with his views given an ideal world. I agree on most points that his vision embodies the way America should be. That’s why I’m behind him. My point is simply that our country has strayed so far off the path that to try and return it too quickly would cause great amount of suffering. His overwhelming belief that “the market” will somehow make everything o.k. is naive at best. He trusts this libertarian ideal with an unsettling and almost religious level of faith. Does anyone truly believe that if we remove the safeguards that provide for the poor and uneducated that everything will somehow work itself out? He has to address this question sufficiently in order to get to the next level. I am not going to stop supporting him and I am not taking the sticker off of my car. I am not going to stop talking about his campaign or about how he’s igniting the political interest of so many young voters. I will continue to speak about his overwhelming positives. But in the back of my mind I’m secretly hoping that he’ll get the message that his more extreme views (or at least how he’s communicating his views) will destroy not only his campaign but his very ability to help our ailing country. Please wake up, Dr. Paul. This country desperately need you at full strength. You have to show us exactly how you intend to take us from the horrible mess we are in to the ideal you speak of (and we support) without causing so much suffering that you lose your support nationwide. If you are not as extreme as you appear to be on these issues and you do have good plans for transitioning with minimum suffering, you have to communicate this information much better than you are now.